One of the reasons why I love autumn and winter so much, is because you can snuggle up under a blanket and wear oversized knits and warm jackets. I like to burn a lot of candles during this time of the year and I can dream of sunny holiday destinations - which makes me long for summer again haha, it's a vicious circle. I know it's only September, but that doesn't mean I can't be excited for snow and Christmas, right? 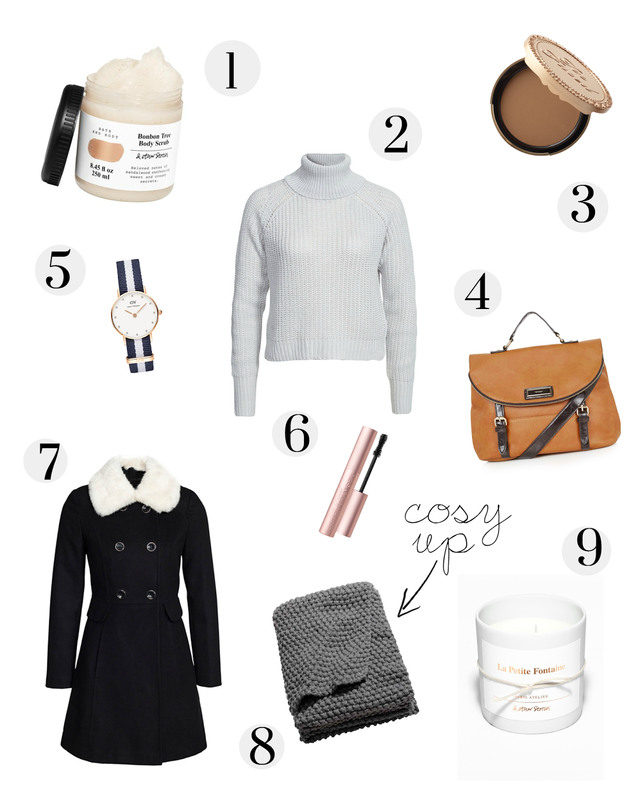 What's on your autumn wishlist? PS: if you know where to find a cosy winter coat, let me know!